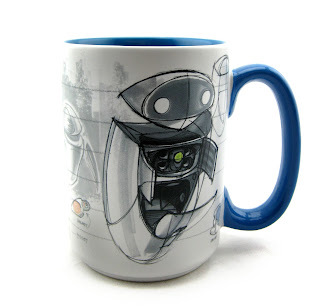 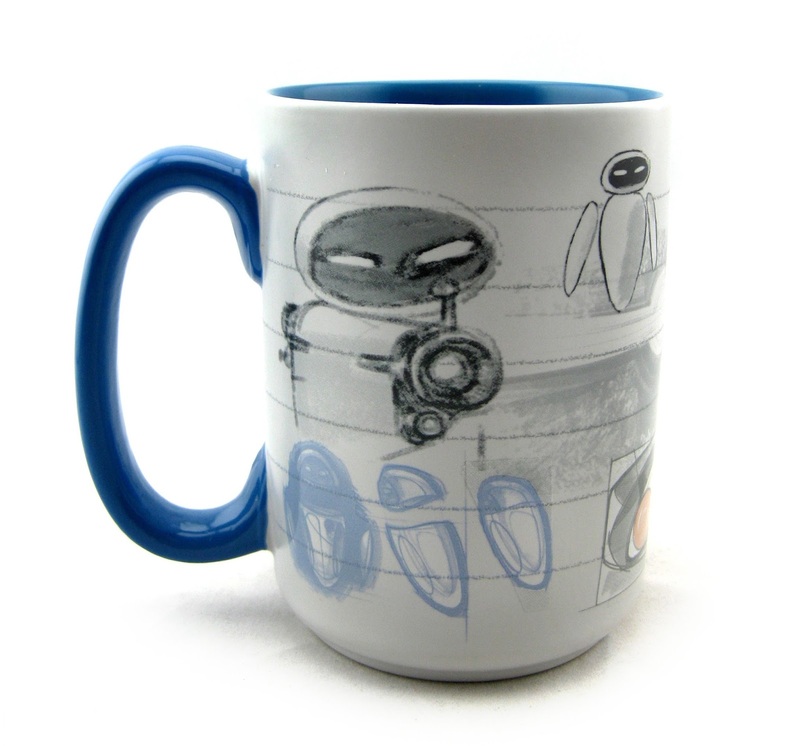 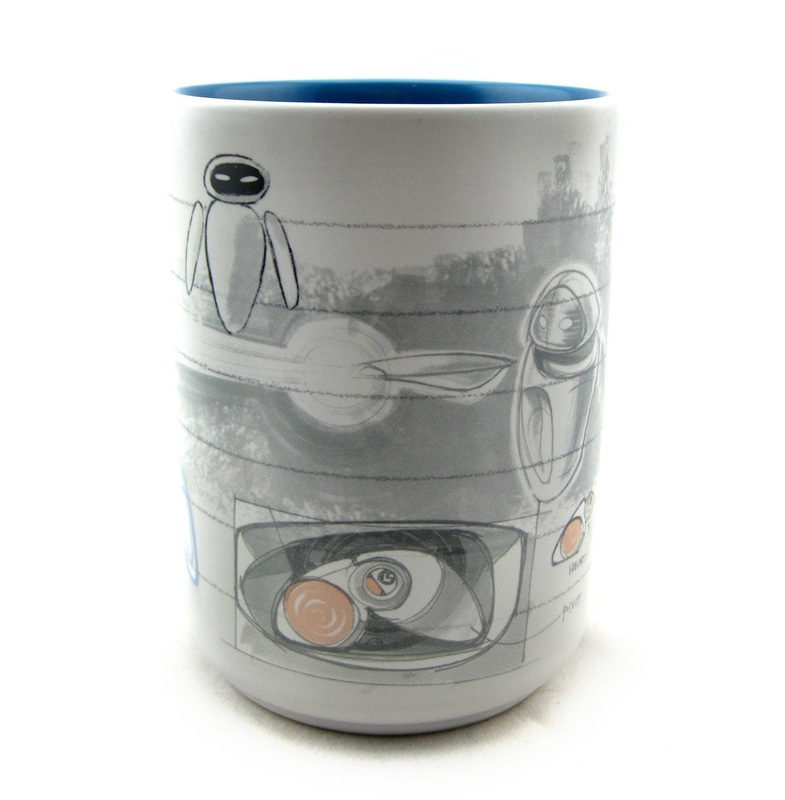 Here we have another very neat Wall·E concept art mug, now available exclusively at the Disney Store! Featuring various sketches of Eve, this mug is part of the new "Art of Pixar" collection (which debuted at the 2015 D23 Expo with concept Buzz and Woody mugs). And another big thanks to my wife Brita for getting me this as part of her thoughtful Valentine's Day gift to me. 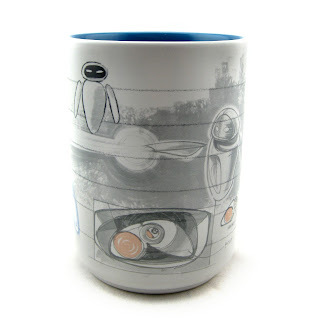 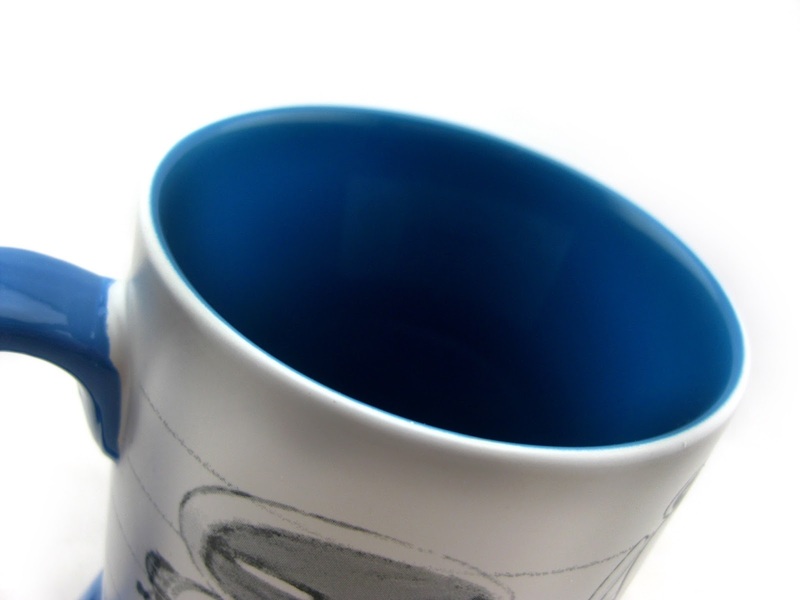 This and the WALL·E sketchbook mug (from Monday's post, see HERE), are perfect together.